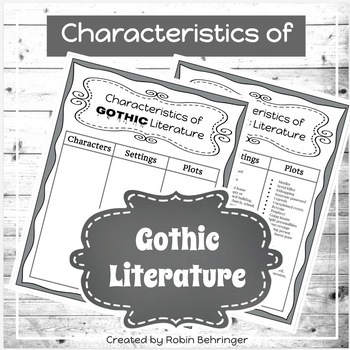 At the beginning of our unit on Gothic Literature, I asked the students to brainstorm common characters, setting and plots that occur in Gothic Literature. 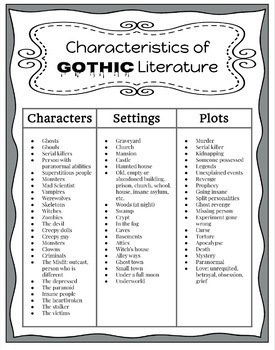 Attached is the Brainstorm Document and the Completed List I generated with my students' answers. 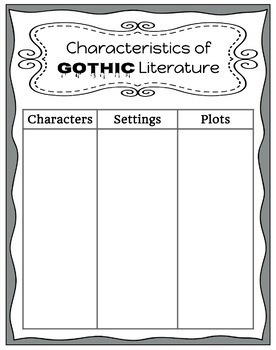 The students will use this list as they brainstorm ideas for their own narratives written in the Gothic style.